Taille de cet aperçu PNG de ce fichier SVG : 530 × 599 pixels. Autres résolutions : 212 × 240 pixels | 425 × 480 pixels | 531 × 600 pixels | 680 × 768 pixels | 906 × 1 024 pixels | 1 639 × 1 852 pixels. Locator map of the region of Malabar Coast, India with district boundaries. 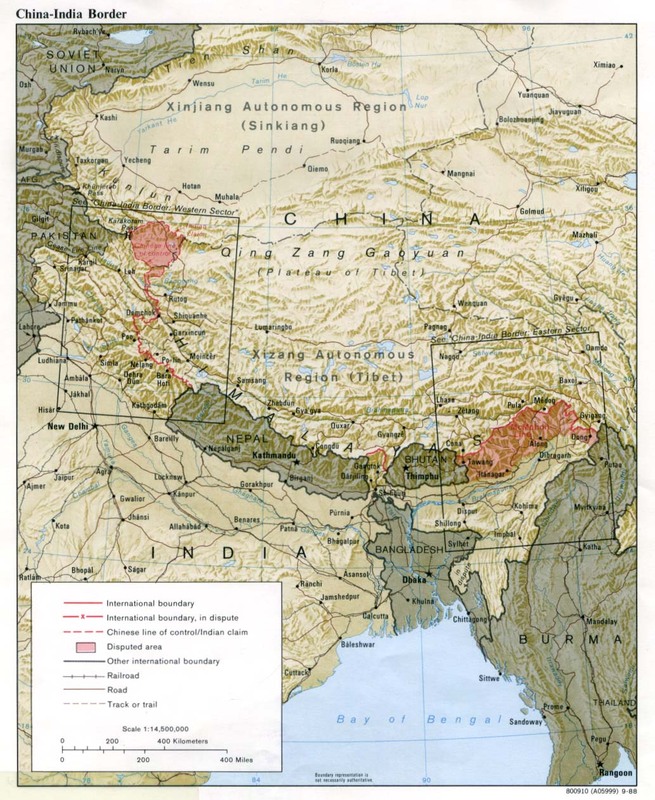 Disputed Borders: University of Texas map library - China-India Borders - Eastern Sector 1988 & Western Sector 1988 - Kashmir Region 2004 - Kashmir Maps. 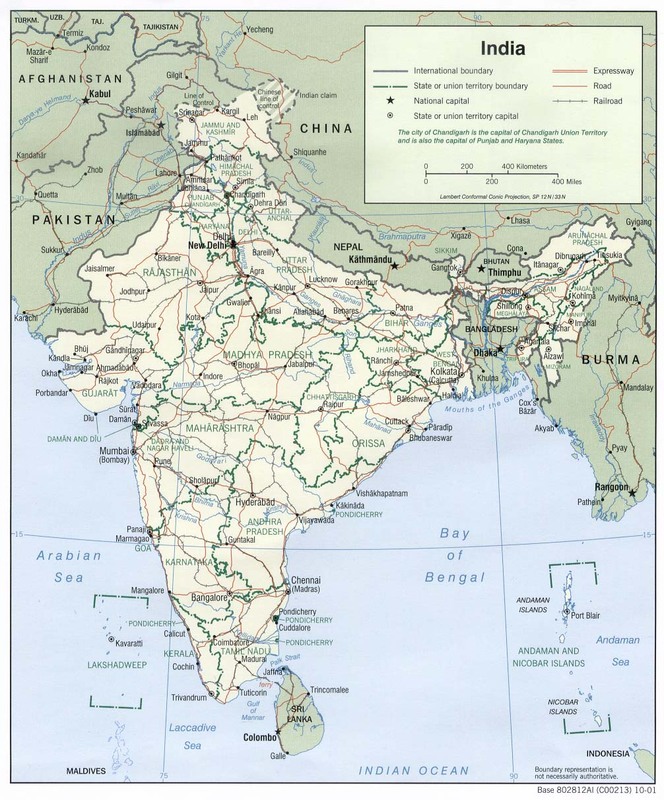 State and District boundaries: Census of India - 2001 Census State Maps - Survey of India Maps. The frontiers depicted on the Indian maps in Wikipedia are from a neutral point of view and may differ from official government maps of India, Pakistan and China. Please consult local laws governing publication of maps before usage. Géoréférencement Géoréférencer la carte dans Wikimaps Warper Si c'est inapproprié, définissez warp_status=skip pour masquer. This map is meant to be for illustrative purpose only and is not authenticated by official government sources. Please check the list of sources and references used to create the map for a measure of accuracy and verifiability. 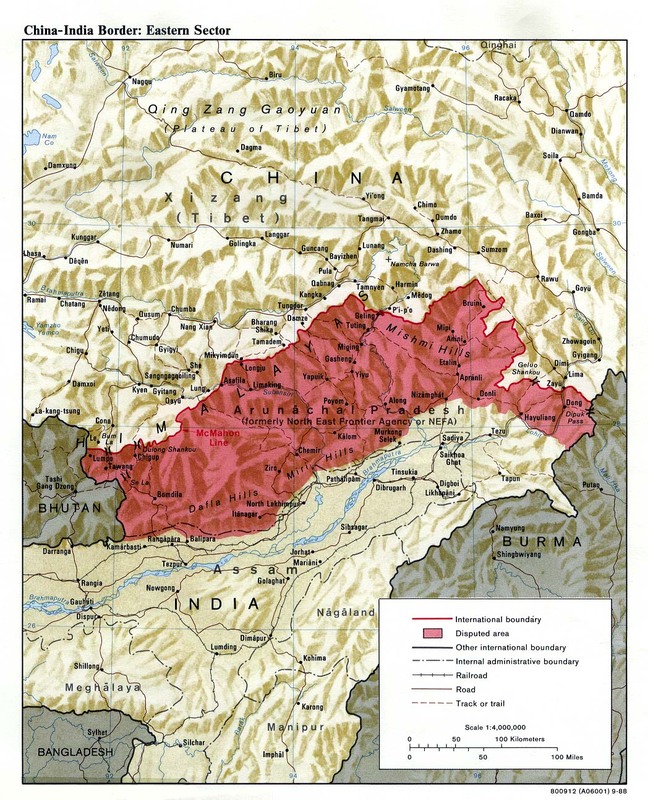 Boundary of Indian claim : The territory India claims is legally theirs, but the claim is disputed by China and Pakistan. Line of Control/Line of Conflict : The defacto administrative boundary recognised by the international community. This UN ceasefire Line is considered as a temporary solution to an ongoing conflict since the departure of the British Raj. 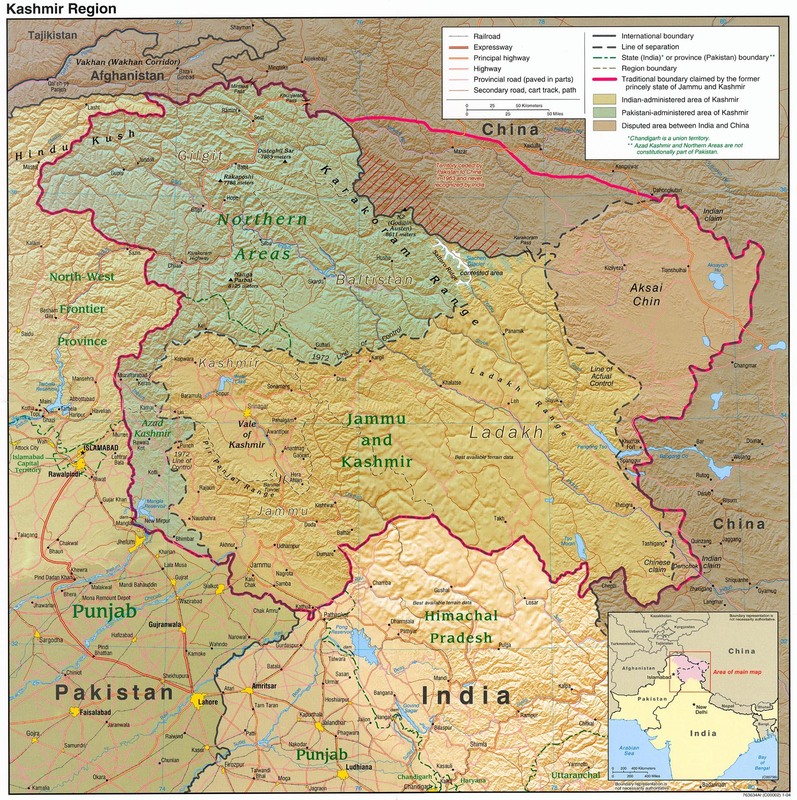 The northern Himalayan region of the disputed territory w:Indian-administered Kashmir is claimed by India including (Pakistan-administered Kashmir) and the Chinese Occupied territory of (Ladakh plateau). It is currently divided between all three countries since 1972. See also Line of Control and Line of Actual Control. 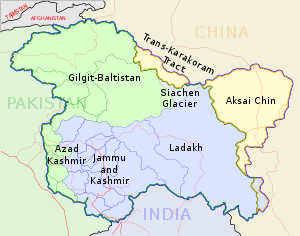 Siachen glacier (shown white) is an actively contested region between India and Pakistan. At present the region is in control of India since 1984. 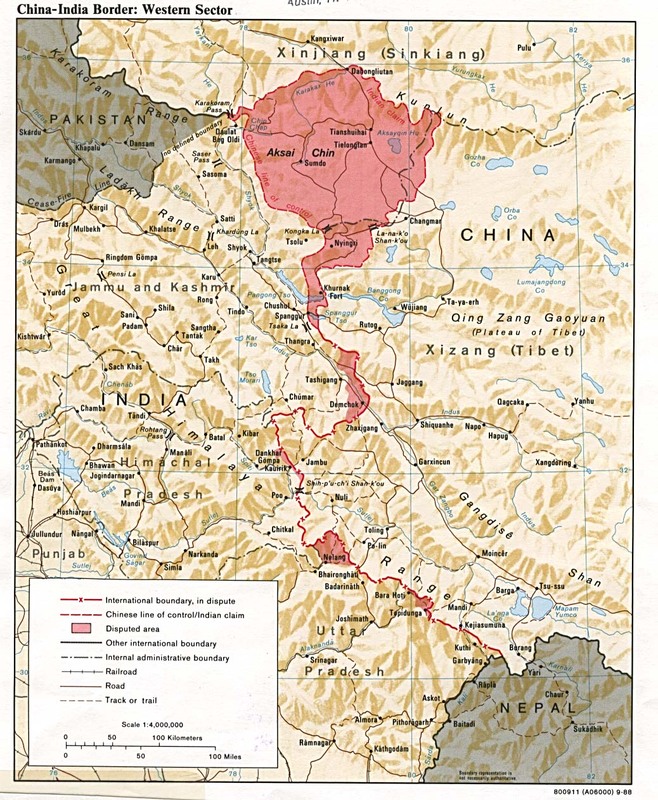 The north eastern territory of Arunachal Pradesh is almost entirely claimed by China as part of its Tibetan territory. Minor areas of eastern Kashmir's Ladakh division, Himachal Pradesh and Uttarakhand on the Chinese frontier are claimed by China. These areas are under Indian control. A small area of Uttarakhand adjoining the Nepal border along the Sarda river is disputed between the two countries. The borders of the state of Meghalaya, Assam and Arunachal Pradesh is shown as interpreted from the North-Eastern Areas (Reorganisation) Act, 1971, but has yet to be verified. The limit of the territorial waters of India extends to twelve nautical miles measured from the appropriate baseline. See this for more information. Ce document provient de « https://fr.wikipedia.org/wiki/Fichier:India_Malabar_Coast_locator_map.svg ».